Dr. Gordon began working in search and rescue as a veterinary medical officer with the Veterinary Assistance Team 1 (VMAT 1) in 1998, and was deployed with that team to the World Trade Center in September 2001. She has trained in this capacity with small animal, large animal and exotic species. 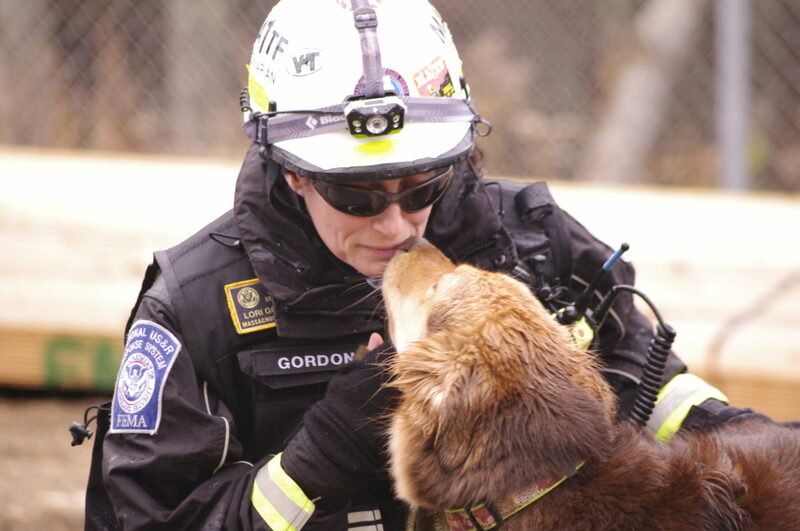 After learning that there is no official provision for a veterinarian on the urban search and rescue teams she joined the Massachusetts Task Force 1 Urban Search and Rescue Team in 2002. 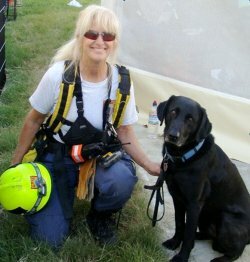 With the tremendous support of her team she has written several papers geared towards educating doctors and medics on emergency and veterinary care of search dogs, decontamination procedures, and modernizing the canine medical cache, all with peer review. Her next goal of making this information available to all was realized with the formation of USAR veterinary group website. Dr. Gordon received her veterinary degree from Kansas State University College of Veterinary Medicine in 1989. She spent the next year in a small animal internship at North Carolina State University College of Veterinary Medicine, and then graduated from a three-year small animal surgical residency program at The Animal Medical Center in New York City in 1993. After one year there as an associate, and four years at a private practice in Massachusetts, Dr. Gordon began Veterinary Surgical Care, Inc., a traveling surgical service serving veterinary hospitals in southern New Hampshire and Northern Massachusetts. She continues to centralize information and distribute it through the www.usarveterinarygroup.org website, as well as promote the need for an official veterinary medical officer position for each team within the FEMA urban search and rescue system, which is now accomplished through the Incident Support Team Veterinary Officer position. A 1999 graduate of Washington State University College of Veterinary Medicine, Dr. Brown continued on to a residency in equine surgery at Michigan State University. She became a board-certified Diplomate of the American College of Veterinary Surgeons in 2004 and the American College of Veterinary Sports Medicine and Rehabilitation in 2012. Along with her board certifications she is also a Certified Canine Rehabilitation Therapist. 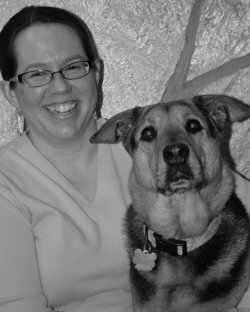 Due to her passion for working and sporting dogs as well as those recovering from orthopedic and neurologic injury, she started K-9 Sports Vet a veterinary rehabilitation and sports medicine practice in Tampa, FL in 2010. 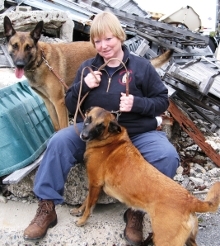 As a member of VMAT-2, Dr. Brown became involved with K-9 Urban Search and Rescue when deployed to Mississippi and Louisiana for 5 weeks following hurricanes Katrina and Rita. She began training with Maryland Task Force-1 (MD TF-1) in 2006 to gain more insight into the medical needs of Urban Search and Rescue dogs. 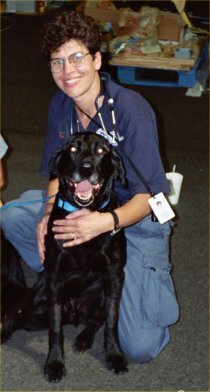 In 2007, Dr. Brown became an official member of MD TF-1 as the team veterinarian. In 2009, she passed her first Certification Evaluation with her Labrador Retriever, Phanesse. Currently she has 2 FEMA-Certified Live Find dogs and 1 FEMA-Certified Human Remains Detection dog. 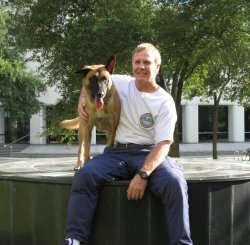 After relocating to Florida in 2010 she transferred to Florida Task Force-2 where she serves as a Canine Search Specialist and Team Veterinarian. Dr. Grant serves as veterinarian for California Task Force 2 and Task Force 5 Urban Search and Rescue Teams. He is involved with the preliminary examinations and testing for canines being considered for training within the California USAR FEMA system. Dr. Grant is also associated with several professional societies, including the California Veterinary Medical Association as chairman for the Insurance Committee and member of the Feline Fibrosarcoma Task Force. For the California Veterinary Medical Association he served as Orange County President and member of the Executive and Grievance & Ethics Committees. He is also Chairman for the County Animal Control Advisory Board, California delegate of the American Veterinary Medical Association, and an Associate Clinical Professor of western University College of Veterinary Medicine. Dr. Grant received his veterinary degree from Kansas State University College of Veterinary Medicine in 1989. While at school he served as class president his first year, and received Outstanding Young American award in 1988. He then continued his education with a small animal internship at The Animal Medical Center in New York City from 1989-1990. Since then he has run and now owns the Community Veterinary Hospital in Garden Grove, California. In addition, Dr. Grant lectures on Geriatrics in Practice as well as General and Emergency Care of the Working Canine. Dr. Halford is a member Tennessee Task Force 1 and has been in practice in Memphis, Tennessee since 1981. He has been involved with search and rescue teams as a primary care veterinarian since 1993 when he first volunteered to take care of the search and rescue dogs in the Memphis area at no charge. His first exposure to search and rescue work came as a member of the Tennessee Human Animal Bond Foundation. In 1993 the Tennessee Veterinary Medical Association started the Tennessee Animal Hall of Fame in order to recognize and highlight the incredible contributions animals make to our lives. One of the first award winners was a search and rescue dog and after attending that ceremony he knew he had to get involved. The owners and handlers of these dogs provide an important service and all too often they shoulder the full expense of training and caring for the dogs by themselves. He believes this is where private practice veterinarians should do everything they can to help out. He owns Walnut Grove Animal Clinic in Memphis which is a five doctor small animal practice and a significant portion of their practice involves the care of working dogs. Dr. Halford is the veterinarian for the Memphis Police Department, the Memphis Airport Authority, and the Shelby County Sherriff’s department canine units. He also does consulting work for canine units in several of the smaller communities near Memphis. Dr. Halford has also helped out by providing training classes on various topics for canine handlers, physicians, and medics for TF1 as well as other search and rescue groups. He is past president of the Tennessee Veterinary Medical Association and is currently serving as a member of the Tennessee Board of Veterinary Medical Examiners. Dr. Honaker began working with Virginia Task Force 2 Urban Search and Rescue in 1993 in an unofficial capacity, delivering training seminars to the medical component on emergency care for the Search and Rescue canines. In 1994 he was invited to join the team in an official capacity due to the foresightedness of the team leaders that a veterinarian was an indispensable asset to the team. Dr. Honaker has deployed to Hurricanes Opal (1995), Fran (1996), Dennis and Katrina (2005), and Ike and Gustov (2008). He also deployed to the Pentagon for recovery operations from 9/11 until 9/18/01. His last assignment was with the ill fated IST deployment to Haiti in January, 2010. Dr. Honaker received his veterinary degree from the University Of Georgia College Of Veterinary Medicine in 1981. He was hospital manager and practiced emergency and critical care medicine for 17 years at The Tidewater Veterinary Emergency Hospital in Virginia Beach and also owned and managed Animal Emergency Care in Virginia Beach. Currently he is the owner of Bay Beach Veterinary Hospital and recently opened Bay Beach Veterinary Emergency Services in Virginia Beach. His hospital was recently named Hospital of the Year by Veterinary Economics Magazine. He continues to enjoy his affiliation with VATF2 and just completed his CDL to help facilitate his usefulness to the team. 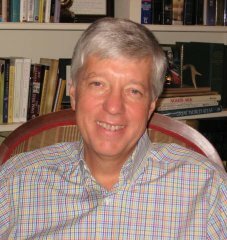 Although currently retired from the team, Dr. Honaker continues to serve as an adviser to the group. Dr. Mason first became involved with search and rescue following the bombing of the Alfred Murrah building in Oklahoma City in 1995. He provided medical care for the search and rescue canines and helped coordinate veterinary volunteers at the site. Since that time, Dr. Mason has been quite active in the disaster response, public health and homeland security fields. He has been a member of Oklahoma Task Force -1 US&R since it was created and serves as canine search team field coordinator, as well as, serving on the steering committee. Dr. Mason has been the Oklahoma Veterinary Medical Association Disaster Preparedness Coordinator since its inception in 1995 and is the Program Coordinator for the Oklahoma MRC State Animal Response Team. He is a member of National Veterinary Response Team 5 as well as the National Animal Health Emergency Response Corp. He is on the Oklahoma Homeland Security Council and currently is the chair of the American Veterinary Medical Association's Committee on Disaster and Emergency Issues. He also serves as a board member for the National Alliance of State Agriculture and Animal Emergency Programs and is co-chair for the veterinary medical best practice working group. He has presented at numerous national and local conferences and created several documents related to disaster preparedness and response activities. He has taught emergency preparedness at Oklahoma State University – OKC and served as a Medical Specialist Instructor for a private emergency response training company. 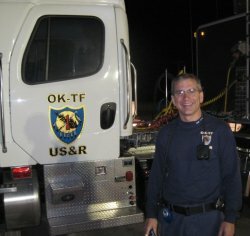 He has been deployed both with OKTF-1 and NVRT-5 to numerous events both within the State of Oklahoma and nationally. Dr. Mason received his veterinary degree from Oklahoma State University in 1991. After spending a year as an associate in another practice he joined the staff of Putnam North Animal Hospital in Oklahoma City and has owned the practice since 1994. He received his certification as an Emergency Medical Technician – Basic in 2008 and has done work with the Oklahoma City Fire Department since then when time allows. 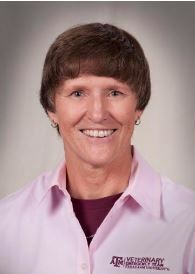 Dr. Laura McLain received her veterinary degree from the University of Wisconsin School of Veterinary Medicine in1997. She practiced in West Allis, Wisconsin, for two years before moving to Salt Lake City, Utah. She has worked for Holladay Veterinary Hospital (formerly called Central Valley Veterinary Hospital) since then. Her professional interests include internal medicine, emergency and critical care, pain management, toxicology and soft tissue surgery. Dr. McLain first became interested in the health issues of search and rescue dogs through caring for “Jake,” a search dog who deployed to the World Trade Center and Hurricane Katrina. Jake was enrolled in Dr. Otto’s long-term study of 9/11 dogs, and was a frequent visitor to the hospital until his death in 2007. Since then, Dr. McLain has been involved with the dogs of Utah Task Force 1, providing medical and surgical care for the dogs and advising their handlers on canine first aid and life support. She officially joined Utah Task Force 1 in 2012. 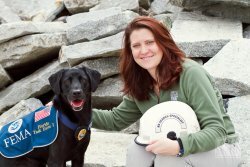 Dr. Merrill has been a canine search specialist with the Massachusetts Task Force 1 Urban Search and Rescue Team since October of 2002. Currently she has two search dogs: Chai, a five-year old Belgian Mallenois who attained Type 1 status in 2006, and Adler, a one-year old Belgian Mallenois currently in training. 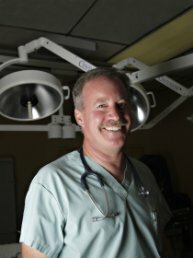 Dr. Merrill has been deployed to the Katrina hurricane in August 2005, and the Ernesto hurricane in August of 2006, both with Chai. She also travels extensively throughout the United States for advanced training in canine search and rescue. She has a special interest in canine fitness training. Dr. Merrill received her veterinary degree from Cornell University College of Veterinary Medicine in 1980. She has been a partner at the Wilton Animal Hospital in Wilton, New Hampshire for 20 years. Her search and rescue career began with Navigator, a beautiful German shepherd dog who is now retired. Her favorite hobby is…guess what? Dog training! Dr. Otto has been involved in disaster medicine as an active member of the Pennsylvania Urban Search and Rescue Task Force 1 since 1994. She has deployed with the team to Hurricane Floyd in September 1999 and the World Trade Center in September 2001. She has also been a veterinary medical officer with the Veterinary Medical Assistance Team-2 since 1999, deploying to Hurricane Katrina in August of 2005. Related to that role, she is the lead investigator monitoring the search and rescue dogs of September 11, 2001. She was named Pennsylvania’s 2002 “Veterinarian of the Year” and received an Alumni Recognition Award from the Ohio State University in 2006. Dr. Otto received her veterinary degree from The Ohio State University College of Veterinary Medicine in 1986. She completed her small animal internal medicine residency training in 1990 and her PhD in veterinary physiology in 1994, both at the University of Georgia. She is currently a tenured associate professor of Critical Care at the University of Pennsylvania School of Veterinary Medicine and an attending veterinarian in the Ryan Veterinary Hospital Emergency Service. She became the director of the Veterinary Clinical Investigation Center and the Associate Chair for Research in the Department of Clinical Studies-Philadelphia in 2006. Dr. Otto is board certified by the American College of Veterinary Emergency and Critical Care (ACVECC) and was the recipient of the 2005 Hill's - Dr Jack Mara Scientific Achievement Award for ACVECC in the area of sepsis research. Dr. Otto served as the editor of the Journal of Veterinary Emergency and Critical Care from 2000 to 2006. Teresa has responded to numerous missions on a local, State, Federal and International level. These deployments include the OKC bombing of the Murrah building, Hurricane Katrina and Hurricane Ike, the Bam, Iran earthquake, the school collapse in Haiti, the Haiti earthquake, as well as responses to call-outs by the FBI, CIA, NCIS and local law enforcement agencies. In addition to responding to search missions, Teresa instructs and evaluates on a local, State, Federal and International level. She has instructed and evaluated across the United States and has traveled to Istanbul, Turkey, Sao Paulo, Brazil and the United Kingdom to assist in the education and evaluation of their search resources. Dr. Deb Zoran is a Professor of Small Animal Internal Medicine and Medical Operations Chief of the Texas A&M Veterinary Emergency Team. She is a 1984 graduate of Kansas State University, has a PhD from Texas A&M University in Animal Nutrition, and is board certified in Small Animal Internal Medicine. Since 1996, Dr. Zoran has been a member of the faculty in the Veterinary Medical Teaching Hospital at Texas A&M University where she is actively involved with clinical, teaching, and research activities in nutrition of dogs and cats, gastrointestinal diseases and disaster preparedness and response. She has worked with Texas Task Force-1 Urban Search and Rescue Canine teams as a veterinary advisor and team resource since 2000, and became a deployable member of TX-TF1 in 2015. Dr. Zoran joined the VET in 2009 when it was formed, but has been medical operations chief and associate director of VET since 2012. She has also been a key leader in the development and delivery of the required clinical rotation in disaster preparedness and response for 4th year veterinary students. In the past 5 years, Dr. Zoran been deployed to numerous major disasters within the State of Texas, including wildfires, floods, and tornadoes, and recently was deployed to the Louisiana Floods of 2016 with TX-TF1.